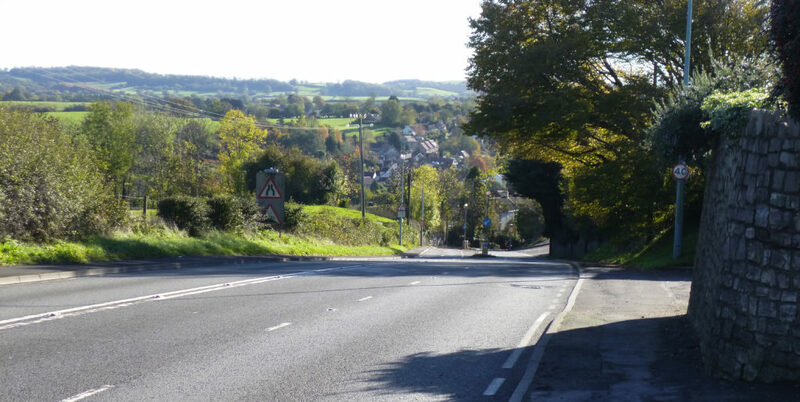 Please use this form if you would like to add a comment concerning any aspect of traffic management on the A37 at Pensford Hill. This is not an official forum. Its function is to provide a useful record of local opinions for future reference. Any comments you make here will be visible to anyone who views this website. All comments are moderated and will not appear immediately. Please be polite and courteous. Offensive comments will not be permitted. All or part of any comment may be removed. Please use the correct form to record your comment. There are separate comment forms for Old Road & High Street, Belluton and A37 Pensford South. The combination of raised kerbs where possible and improved bollards seems the best solution to vehicles mounting the pavement and will, therefore, provide reassurance for pedestrians. The idea of bollards in the form of school pupils is innovative and could be combined with the traditional metal ones. Perhaps one or two at the top of Pensford Hill and in particular at the bottom near the school. Better signage for HGVs warning of the narrow road will also help. I believe that only the surplus funds( ie running costs taken out) from speed camera fines goes back to BaNES to invest in road safety. As well as the bollard dragged out on Pensford Hill, the one outside the Hollies has also been hit since the meeting. We need the bollards sucurely embedded in concrete and raised curbs with appropriate sgnage with additional calming measures as soon as possible.